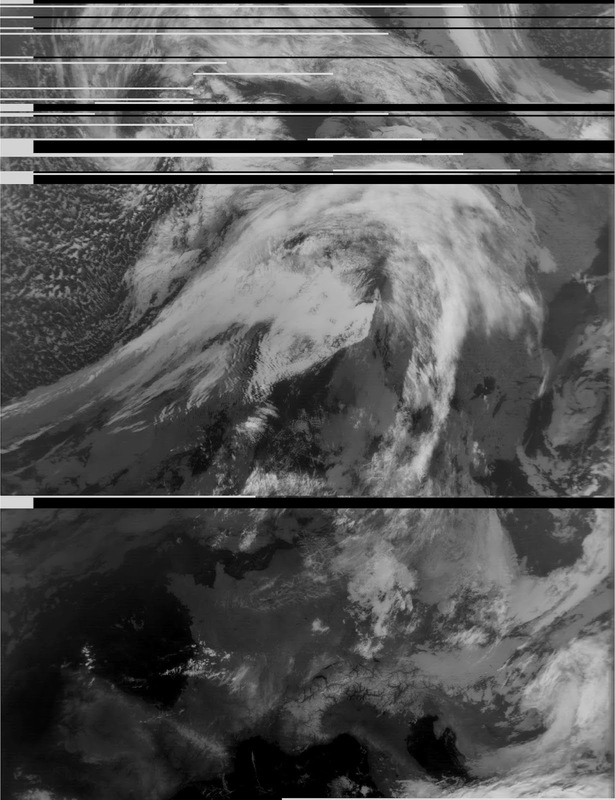 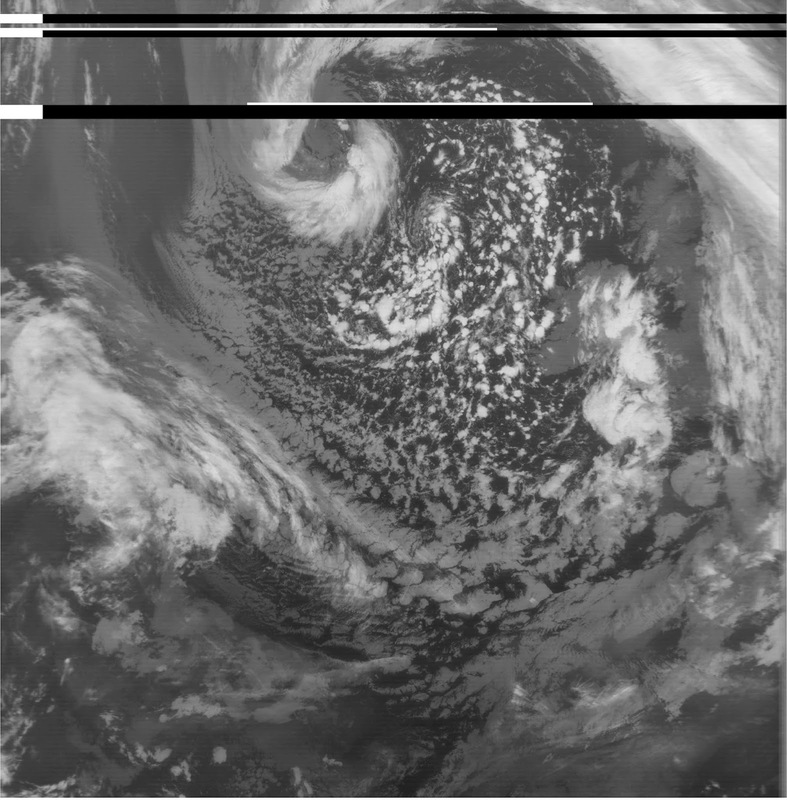 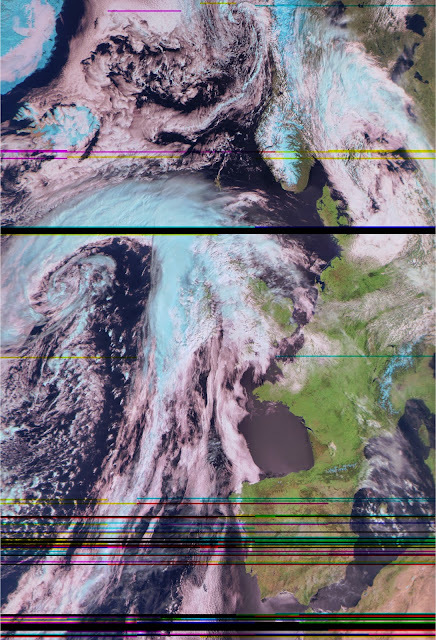 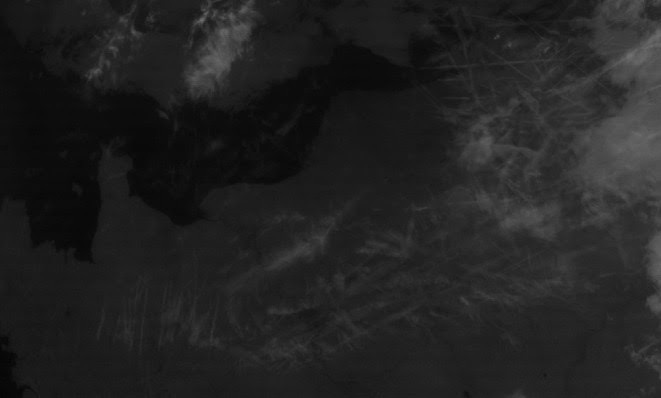 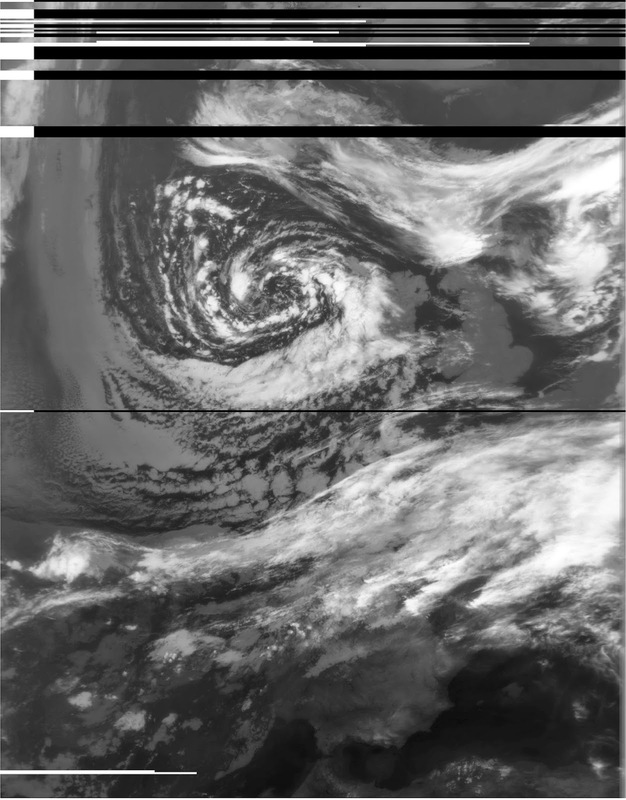 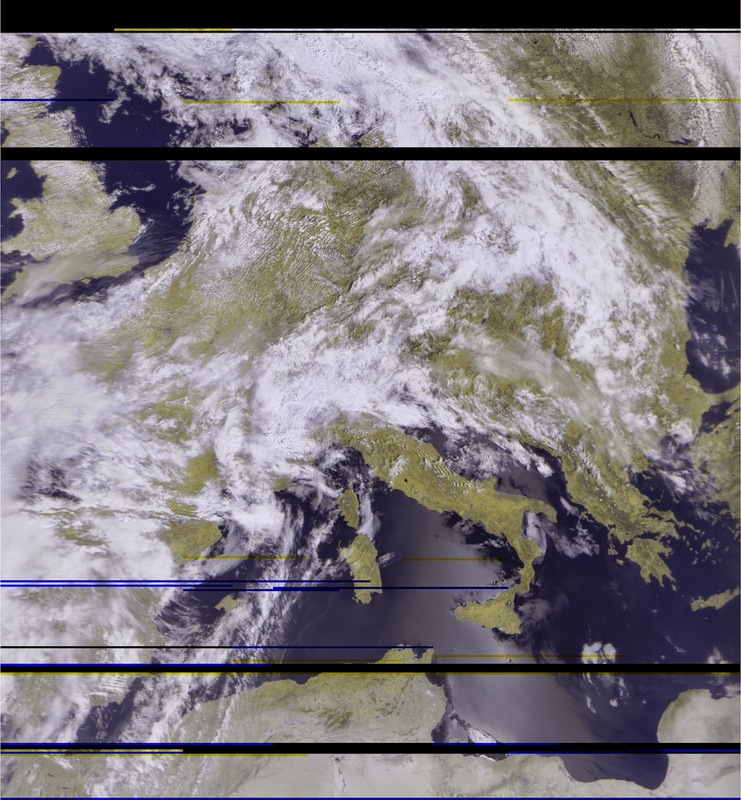 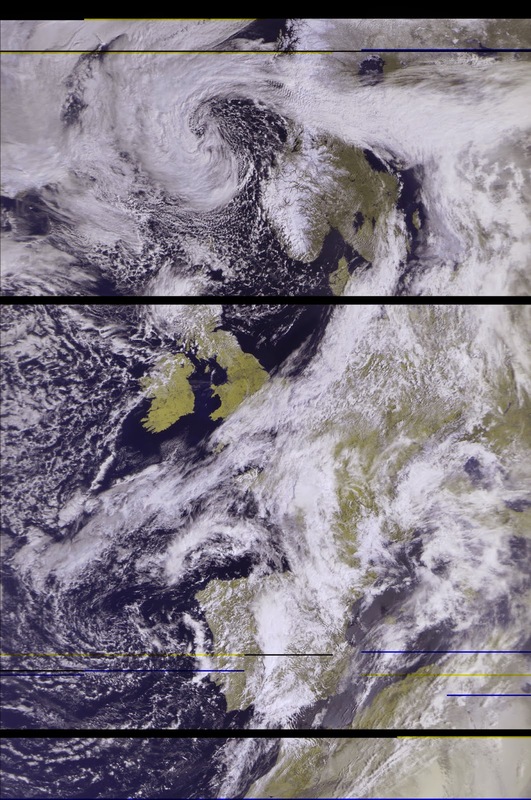 24/4/2015 10:31 My first image captured using my HackRF One, the other images have used an RTL dongle. 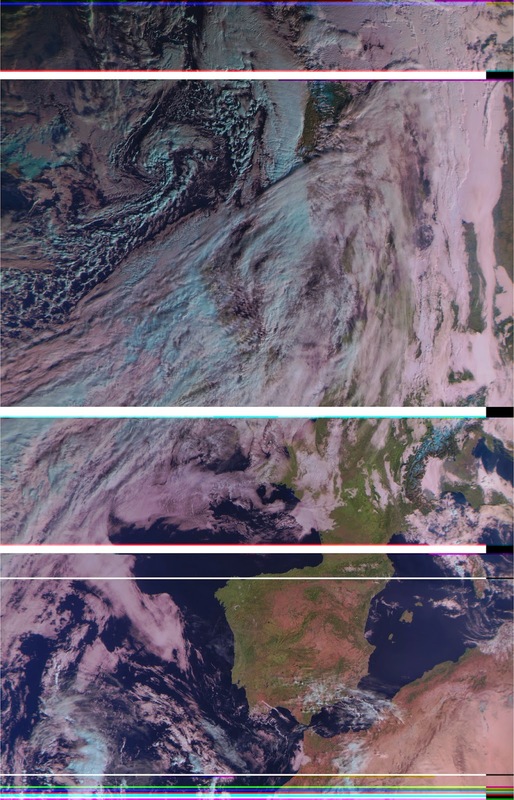 The HackRF One has a bandwidth capability of up to 20MHz, consequently it is easier to configure to avoid pager transmission interference. 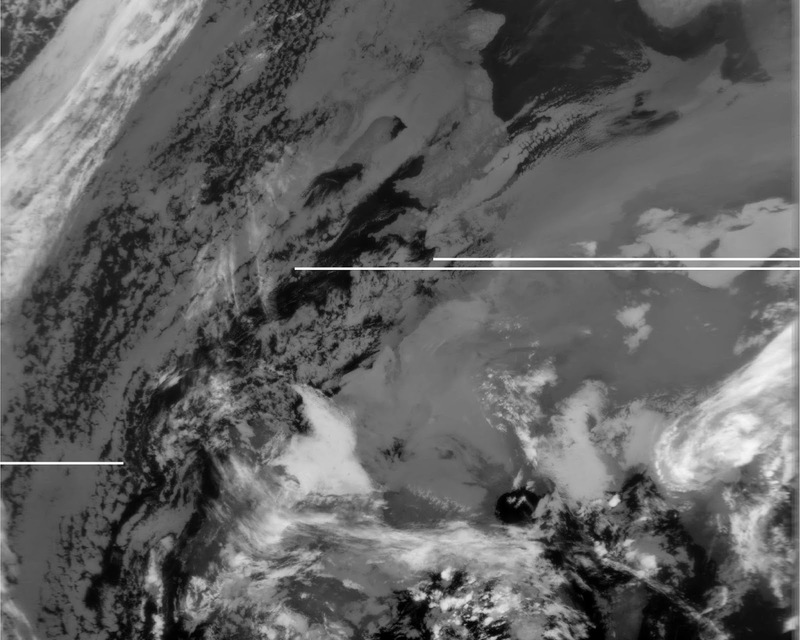 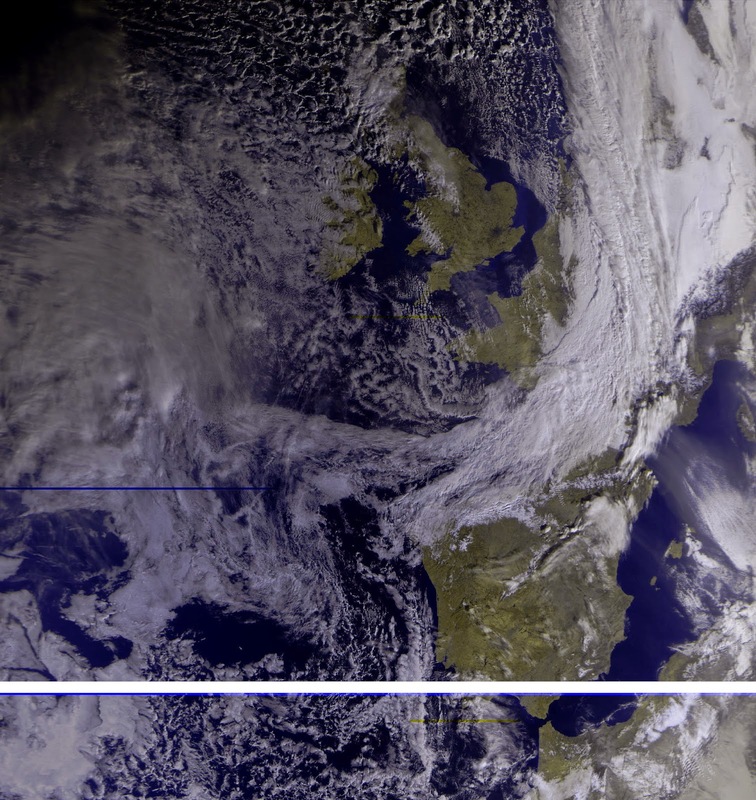 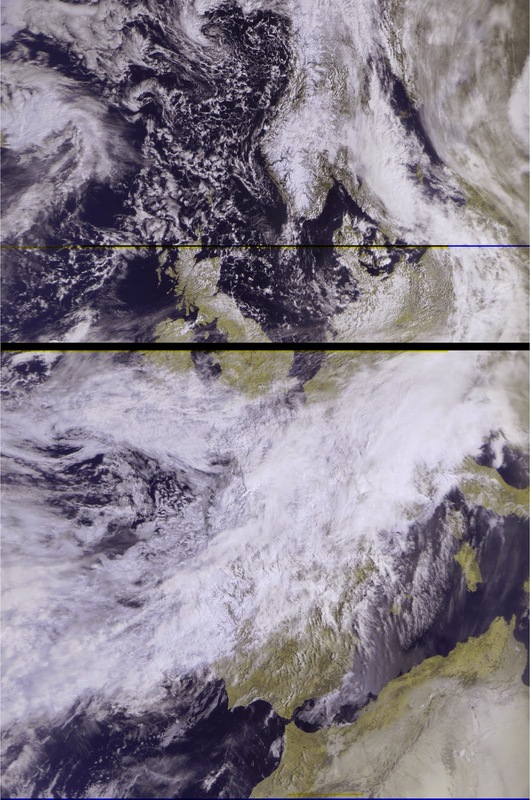 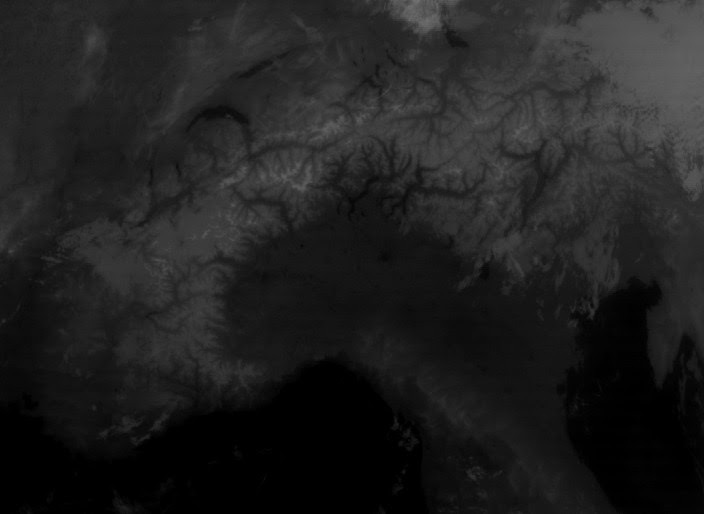 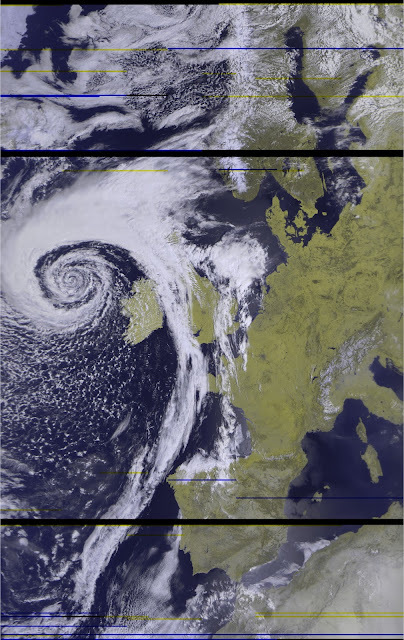 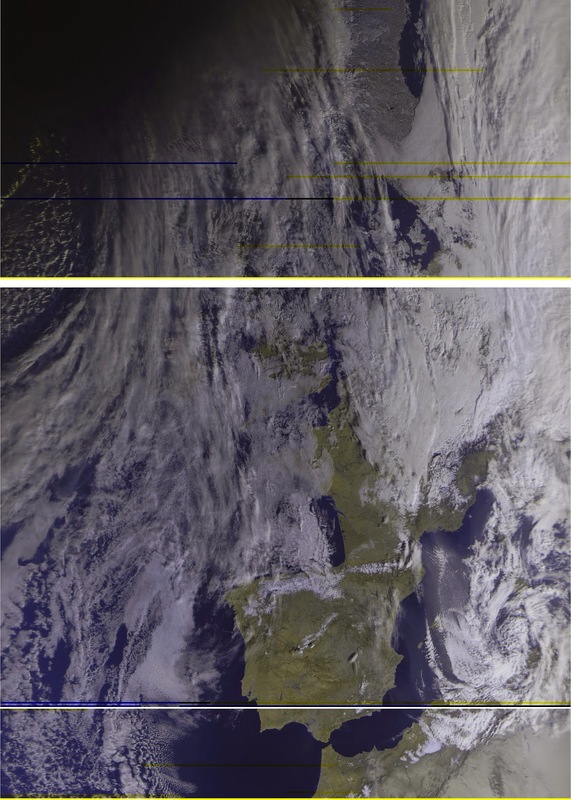 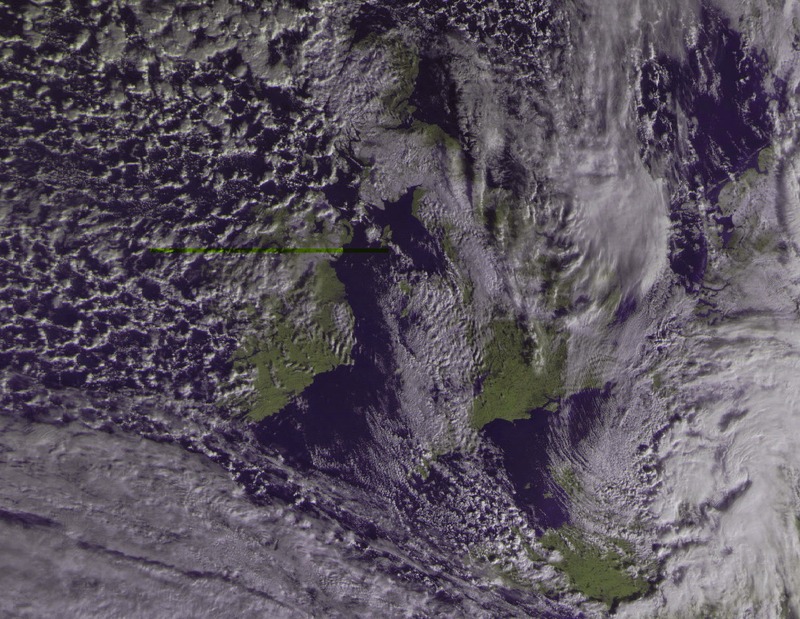 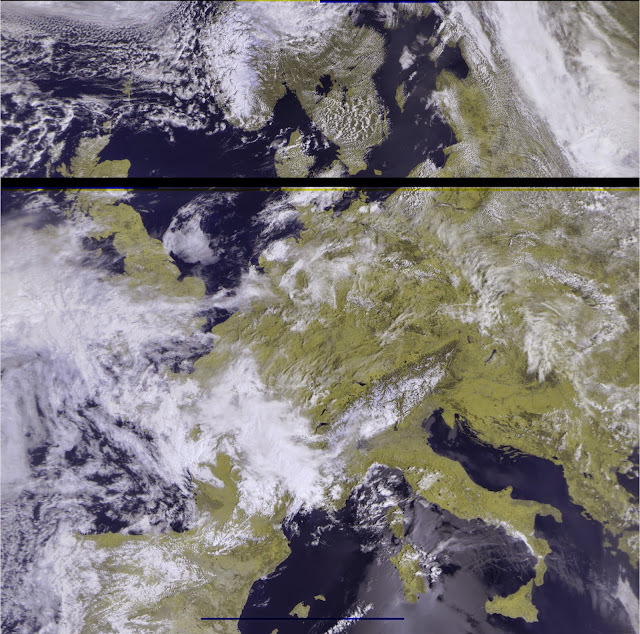 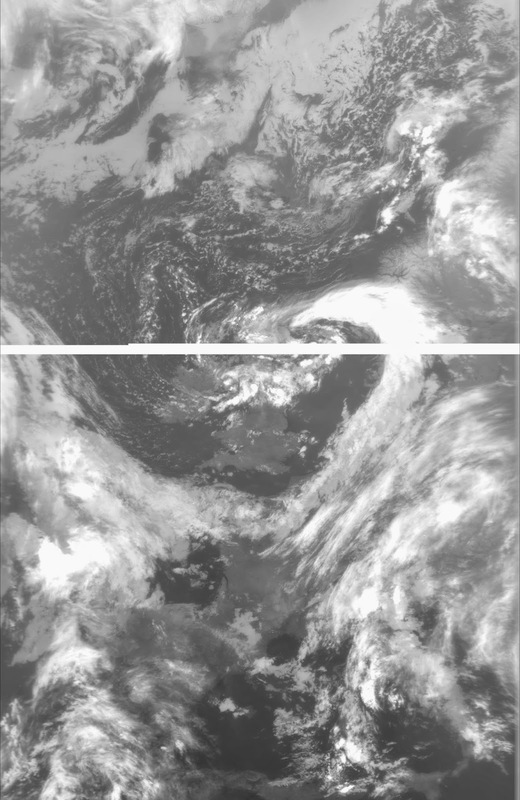 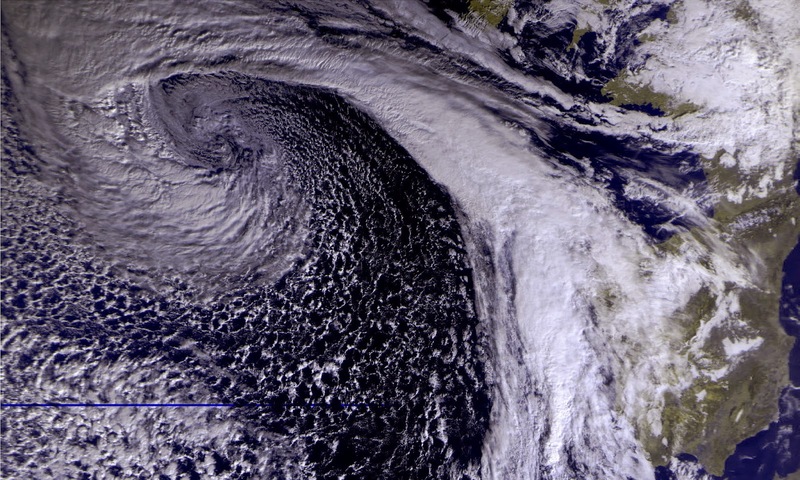 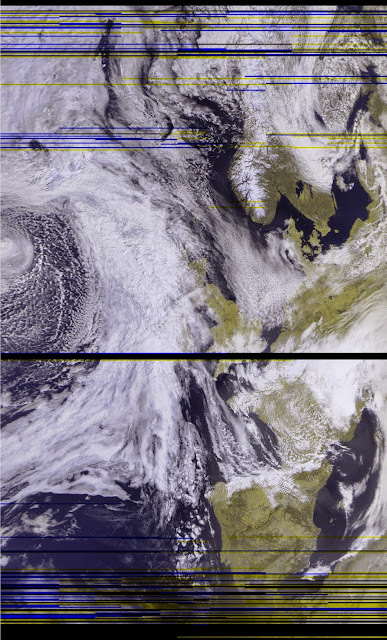 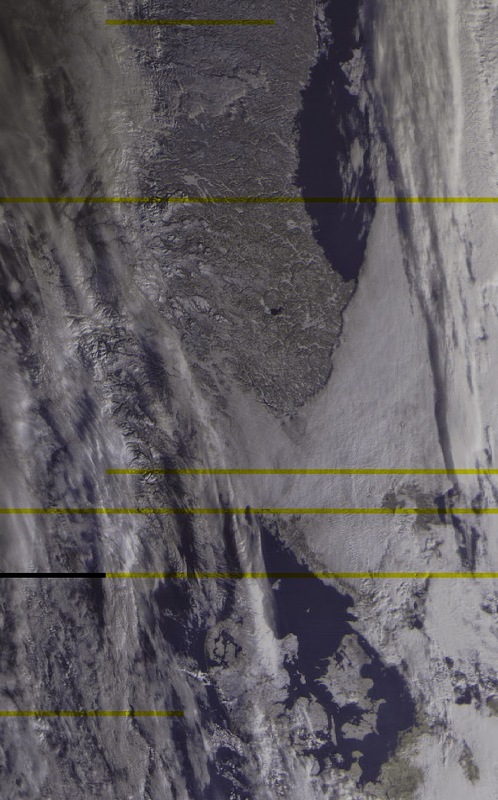 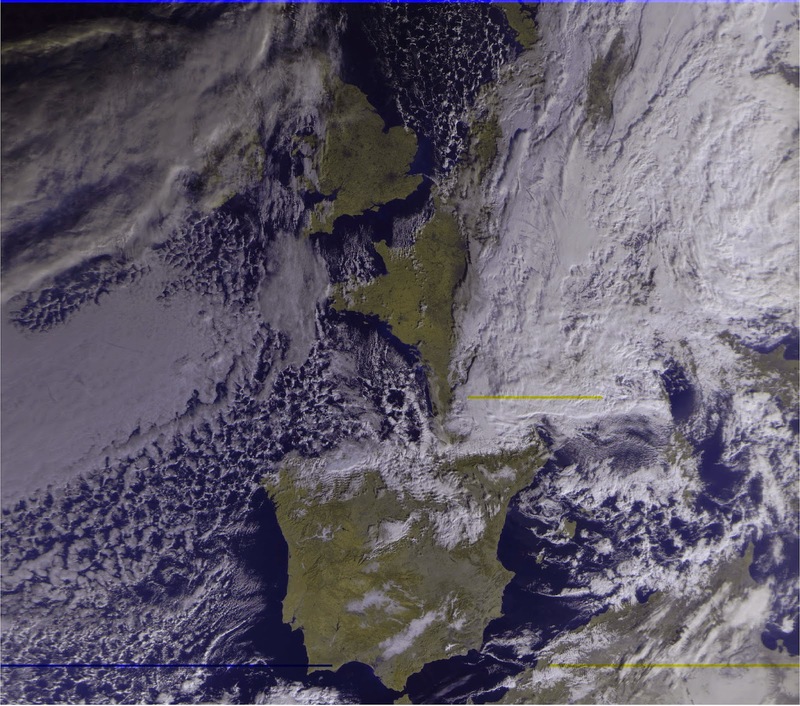 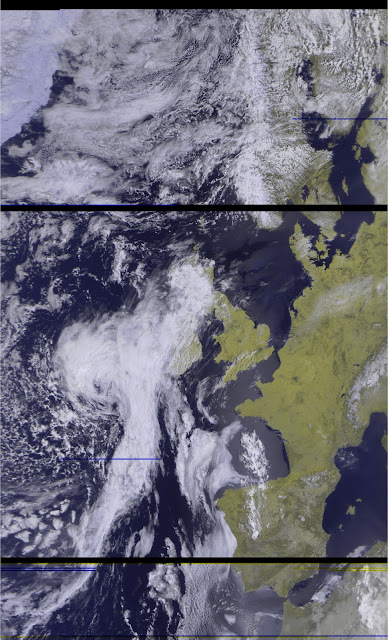 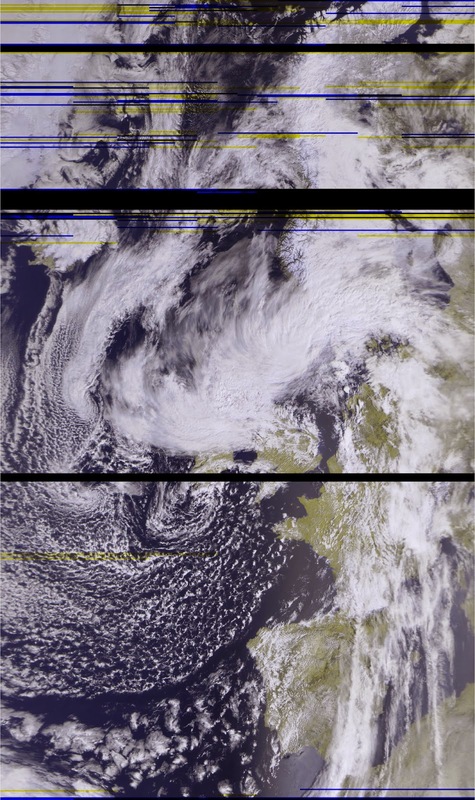 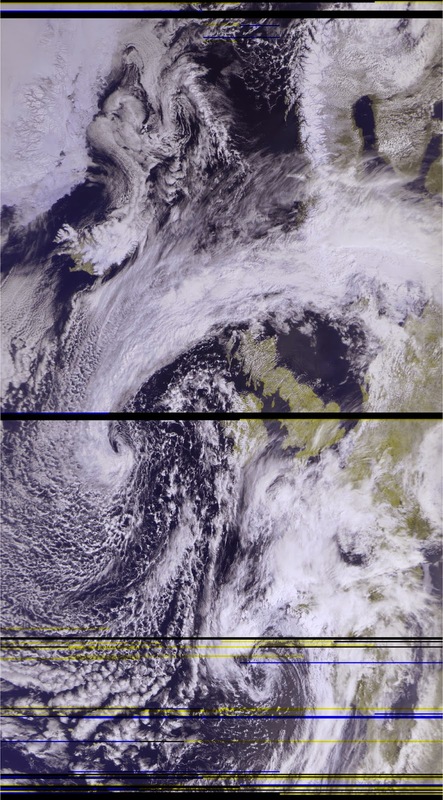 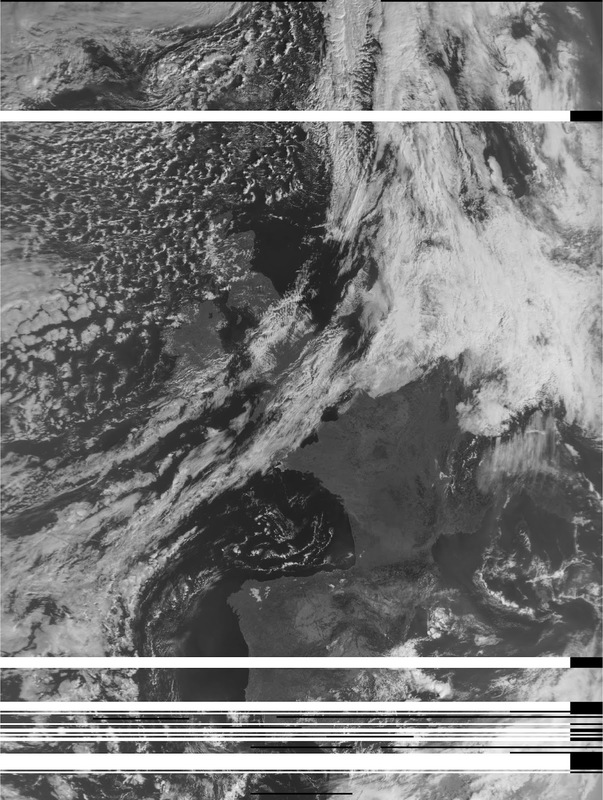 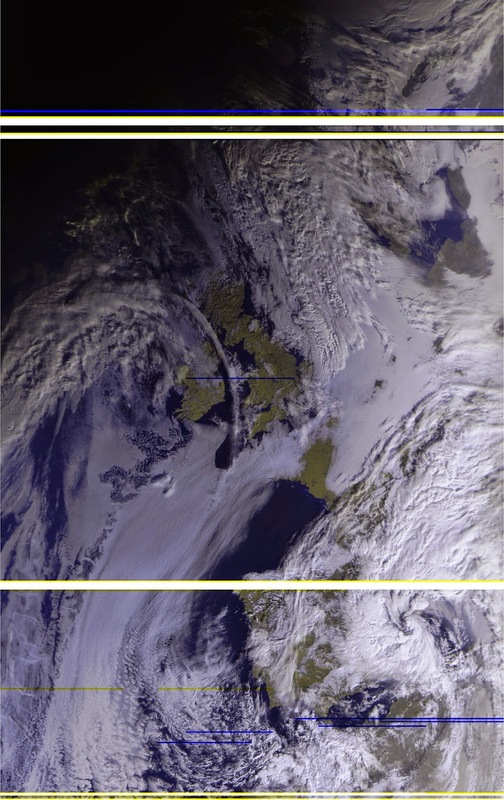 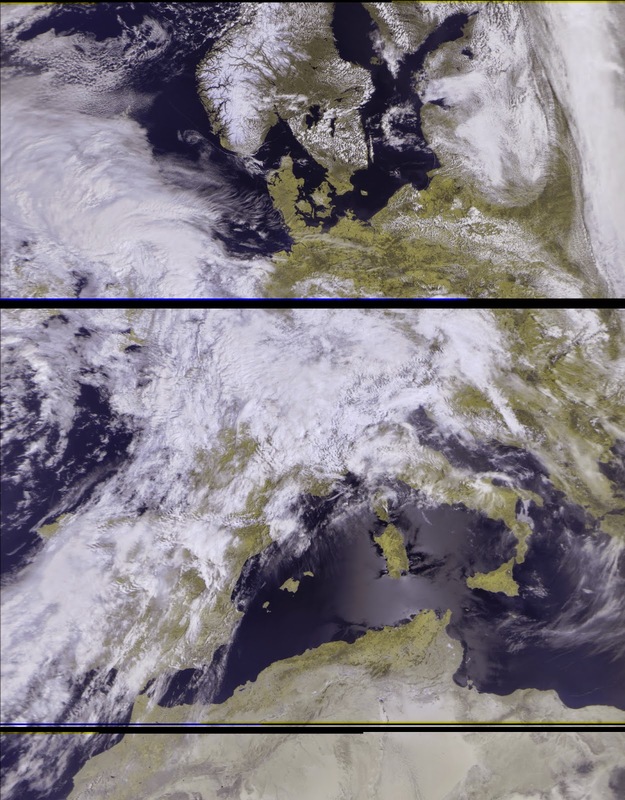 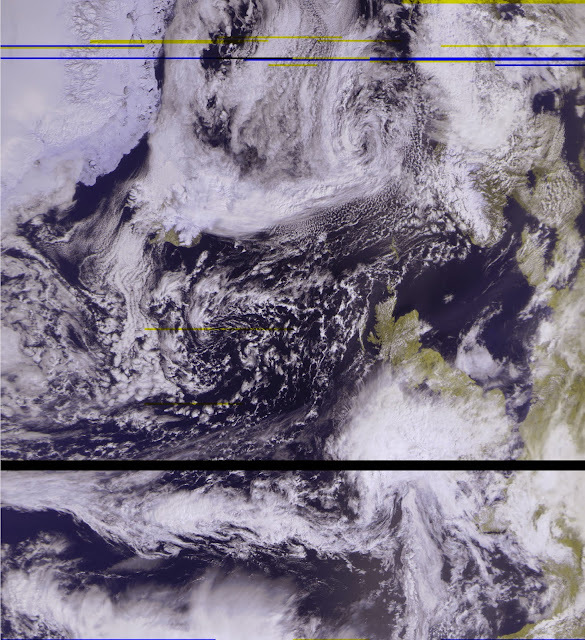 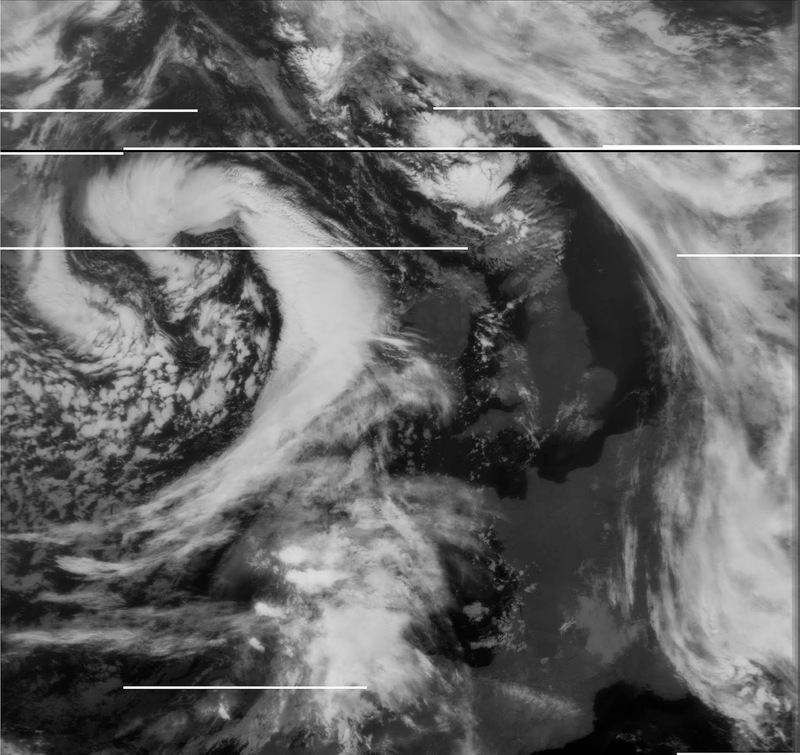 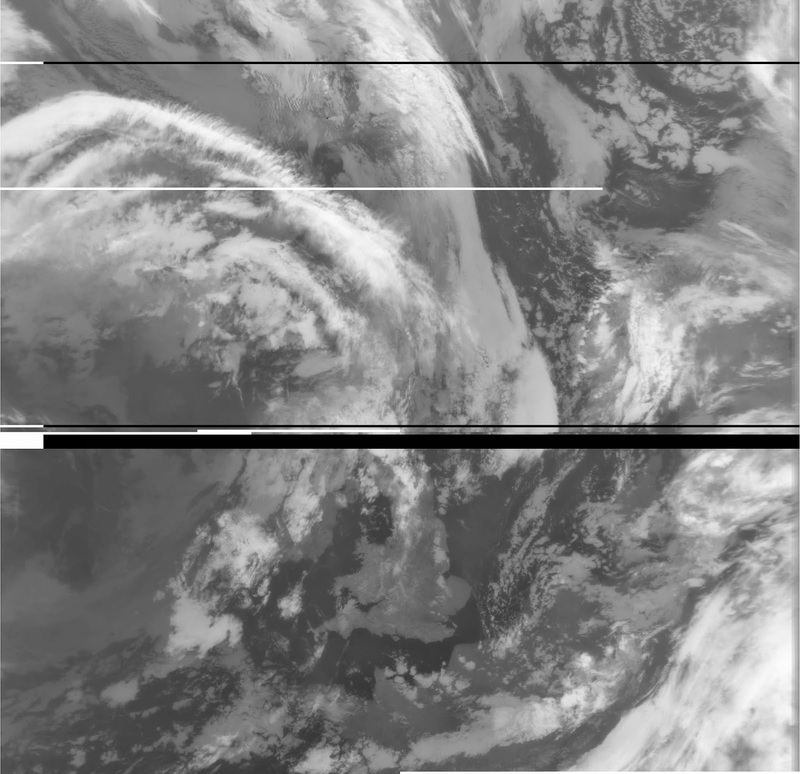 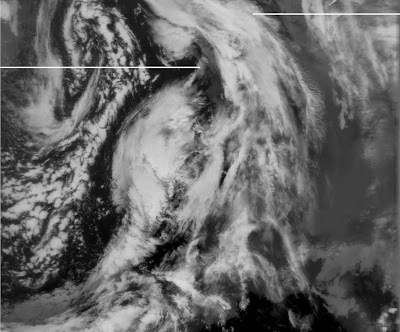 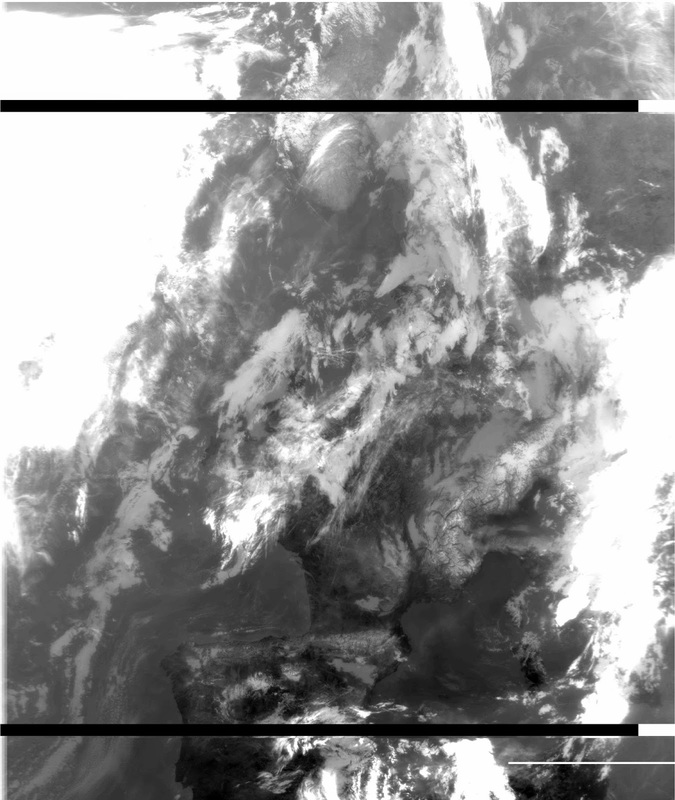 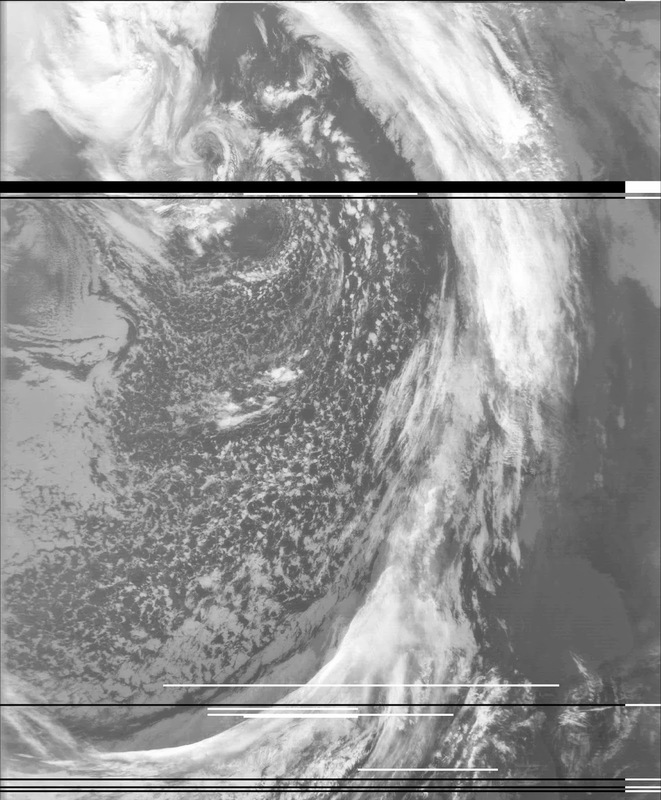 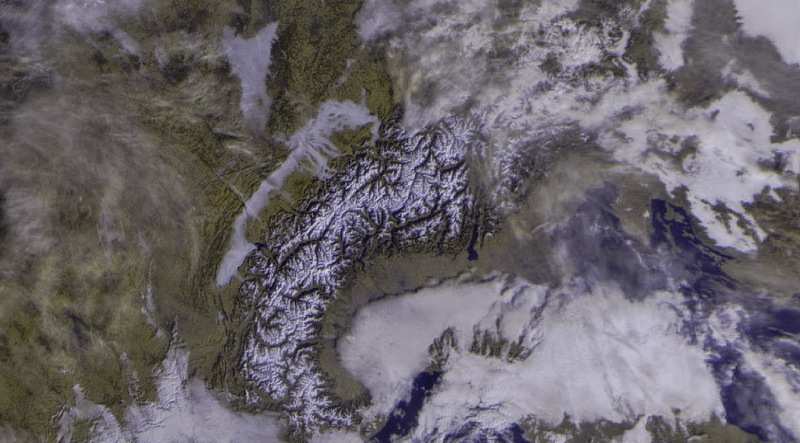 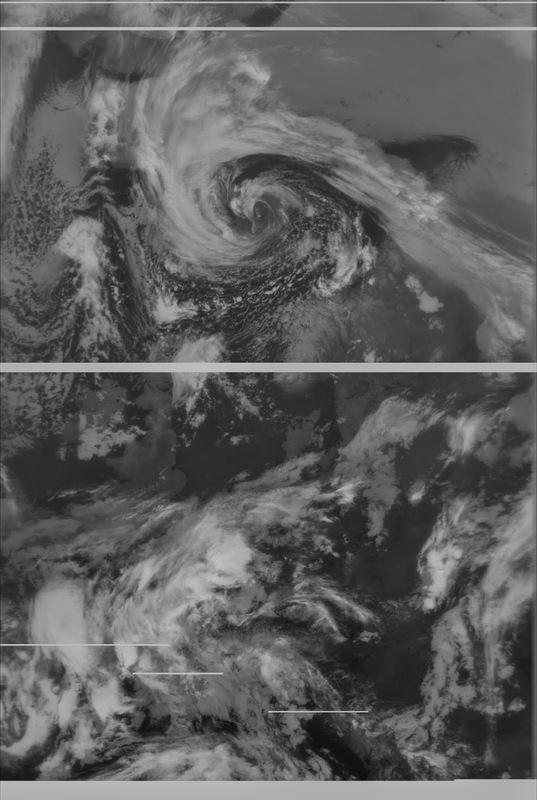 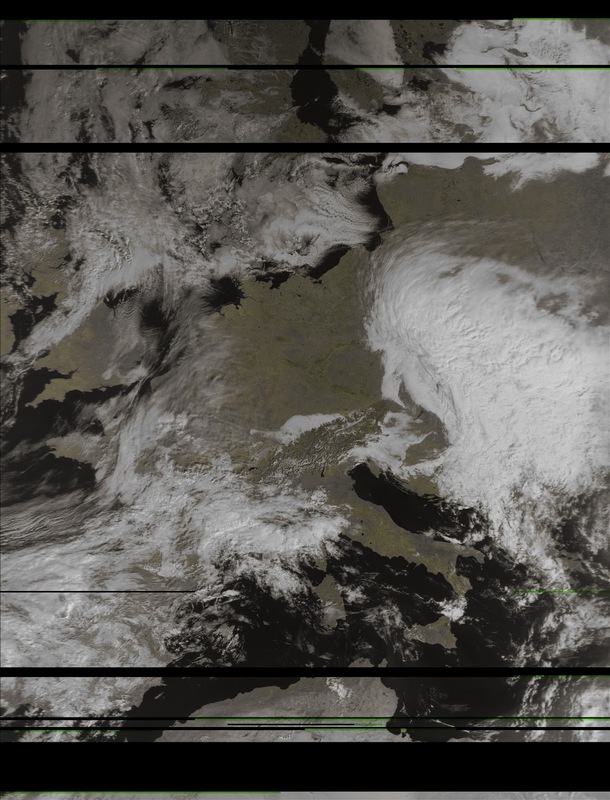 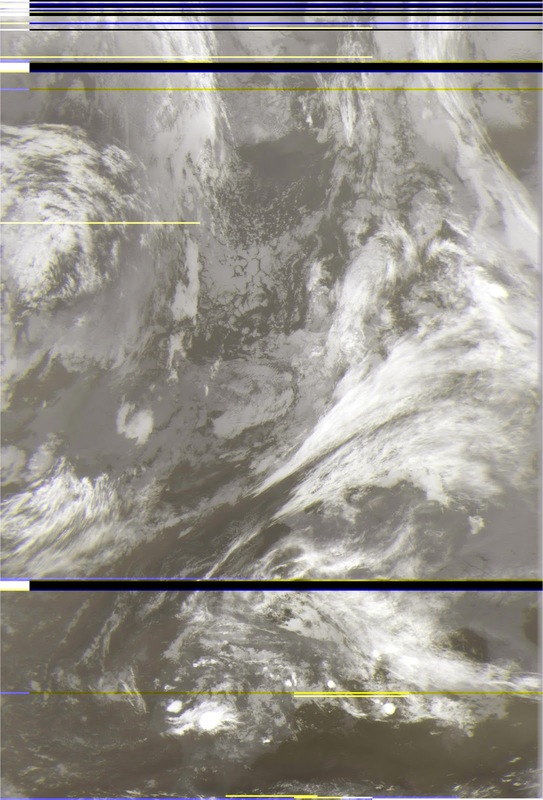 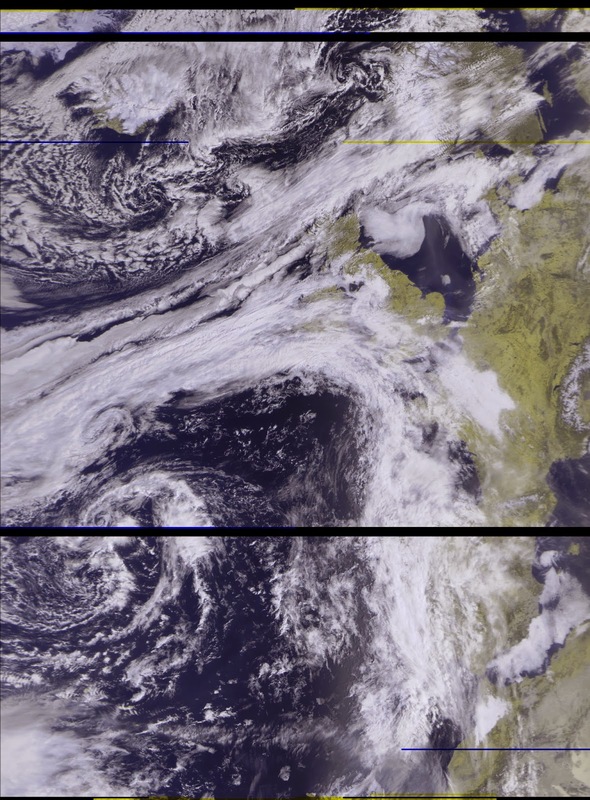 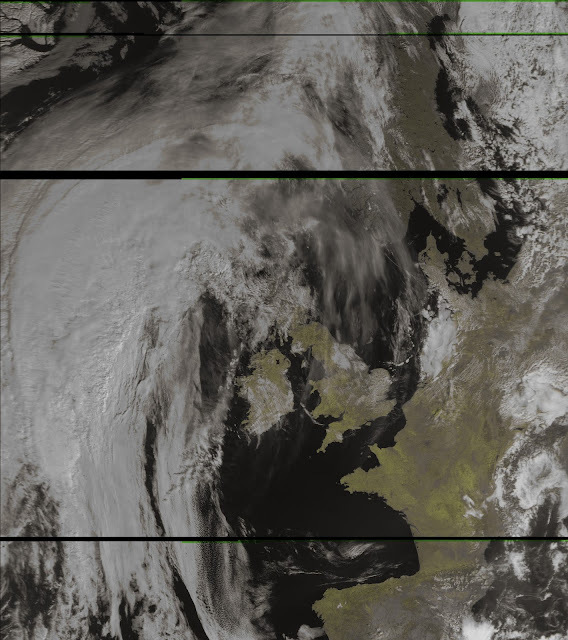 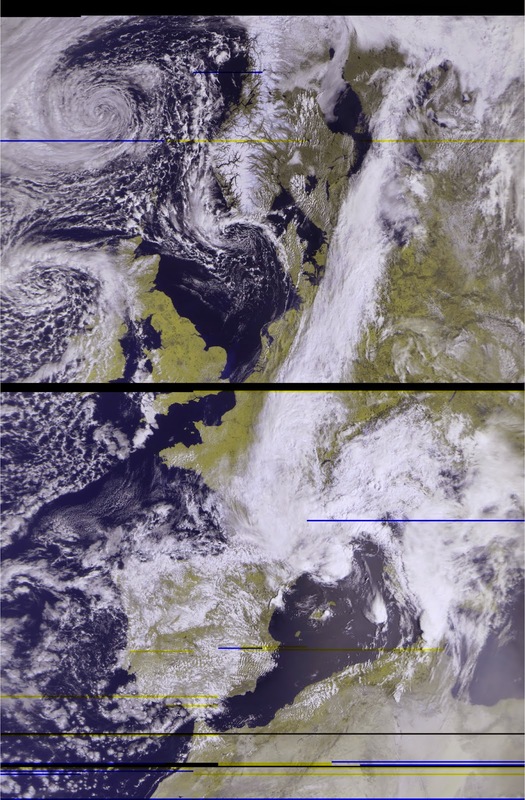 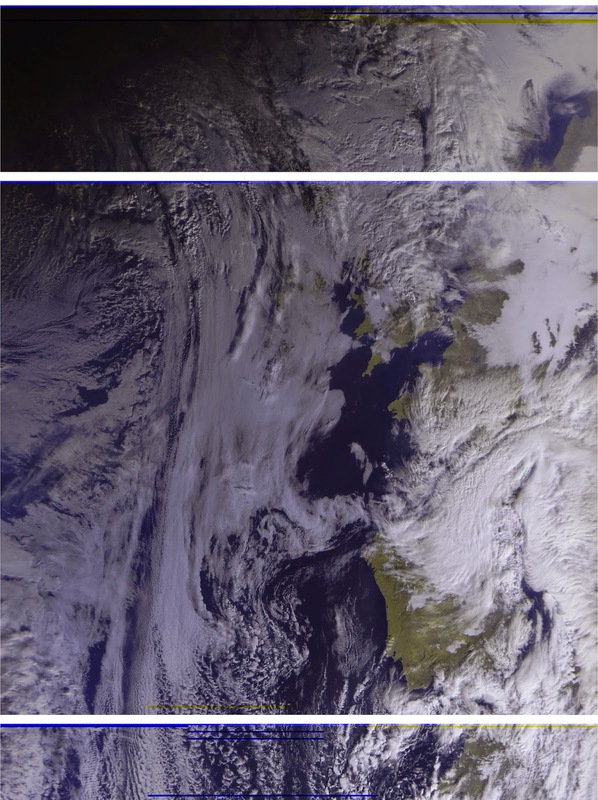 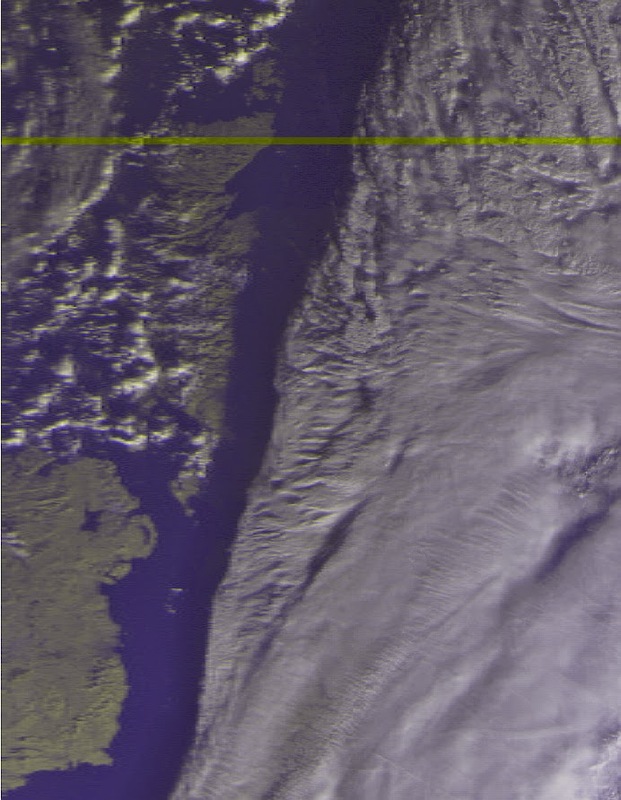 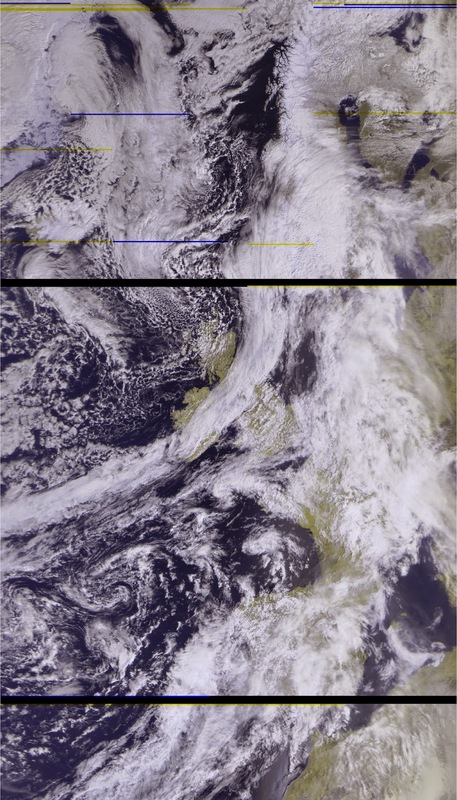 Scotland & Northern Ireland, 23/11/2014, note the shadow cast by the large weather system.